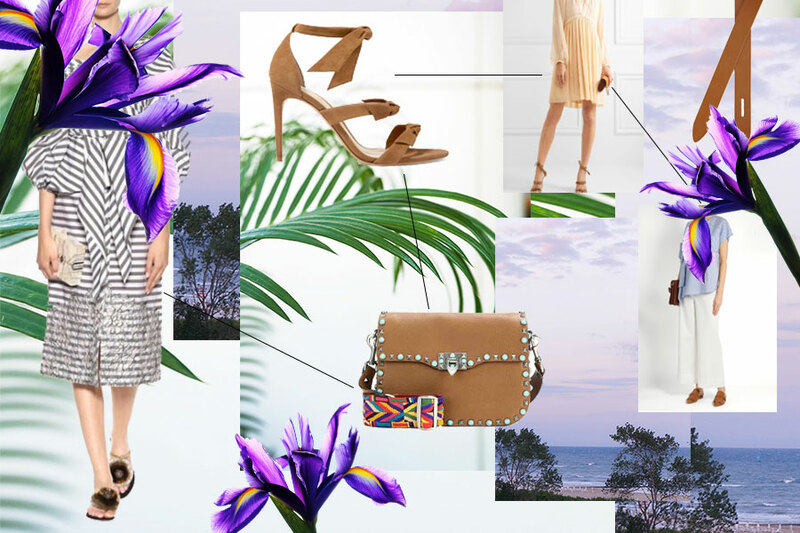 5 summer wardrobe updates first appeared in Estila EDIT 19. For those of you familiar with my fashion views, you will know I don’t play by the generally accepted Instagram etiquette of “be nice or be quiet”. If I feel strongly enough about say, bloggers who don’t disclose their posts as sponsored when that’s clearly the case, I will call it up. Then at the same time, when I admire someone’s style or professionalism, I praise profusely. I position myself on the fashion forecasting camp rather than the influencer one. By its very definition, an “influencer” is there (paid or not) to influence you to wear or live the lifestyle they do, in other words, calling you to jump on the bandwagon, follow the herd. I am the type of fashion lover who the minute everyone is wearing the backless Gucci slip-ons, I feel quietly smug that I never owned one. So, needless to say, influencers don’t really wash on me. THE BAG – Not the mini crossbody type but one with a guitar strap and in a size that you put your daytime necessities in. THE COAT – The oversized coat: be swamped, nothing less will do. THE LUXE RAFFIA ACCESSORY – Because nothing says summer quite like it. THE TROUSERS – A relaxed silhouette in fluid fabrics is key. Curious to see what else is in our Estila EDIT 19? Here you go.